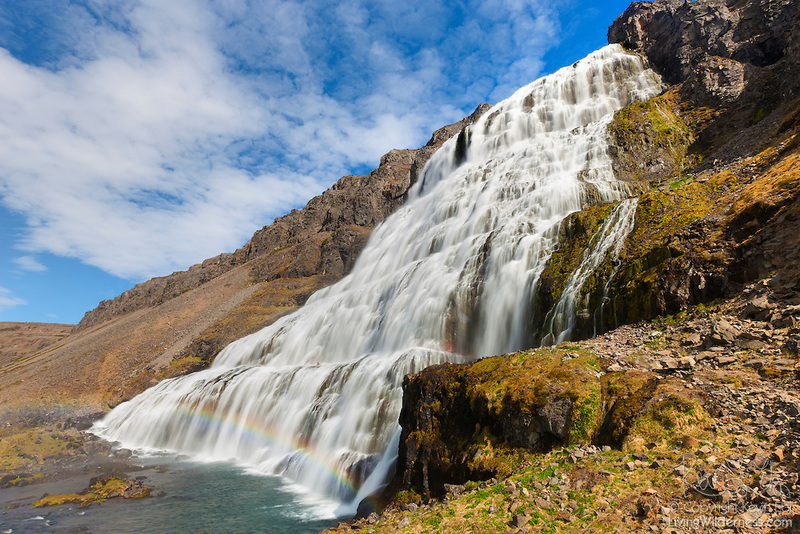 A rainbow forms in the bottom tier of Dynjandi, a waterfall located in the northwestern fjords of Iceland. Dynjandi is the tallest waterfall in the region, with a height of 200 feet (61 meters). It is nicknamed wedding cake falls because its tiers are wider at the bottom than at the top. The top of the waterfall is about 98 feet (30 meters) wide; the bottom tier is 196 feet (60 meters) wide. Copyright 2010 Kevin Ebi/LivingWilderness.com. All rights reserved.